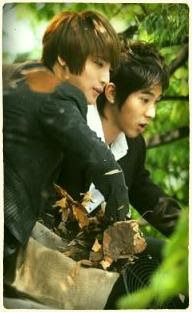 i really miss YunJae these days. YunJae is REAL!!!! i don't care what people want to say! omg. i can't hold this feeling. but with one heart that shares everything. well, not really but, yea. haha! it's not that great.. but still, it saves me from being expelled! thank God. well, the full CGPA marks is supposed to be 4.00! i'm not that good enough to get that 4.00 though. but, i'm so happy that i can still get a great result. my cousin also said that maybe there's a reward for the result that i get. but, nah. i don't really need it. i'm not putting my hope so high. but Allah can give His bless to anyone that He wants. Secret Message from TOHOSHINKI 1st~5th ALBUM? seriously i don't know who's the original owner of the pic! How can i not love TVXQ/DBSK/Tohoshinki/HoMinJunJaeChun FOR THIS?? they can still keep their faith strong and it will get stronger from time to time. but wae fans can't keep their faith as strong as them? waeyo??? [MAV+Lyrics] A Pink – ( Let Us Just Love) PtB OST. Just deal with my post okay? i suddenly come to like this song because it's cute!!! >< not that i like A-pink though. hello guys...or girls... whatever! ahaks! Good morning~ how do you do? i mean, i want to move from blogger to LiveJournal.